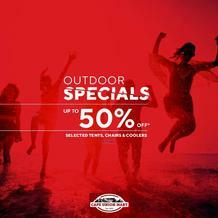 Cape Union Mart are South Africa’s favorite outdoor store. They have been equipping adventurers with everything they need since 1933. 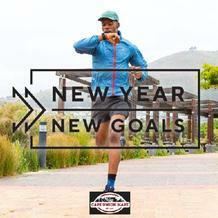 They stock a wide variety of products for all hiking, camping, running, biking requirements and much more. Cape Union Mart have stores throughout SA as well as in Namibia and Botswana. The late Philip Krawitz who is grandfather of the current Chairman founded the first store in Cape Town. It originated as an Army and Navy store and became very famous for its ‘everything from anchor to toothpick’ range of products. The first store was based on Mostert Street, between two of the largest retailers- Woolworths and OK Bazaars. It was soon realized that Cape Union Mart had a very different product offering from the big retailers with a very different sort of product range. During the years of war that followed, Cape Union Mart supplied troops with luxuries and necessities associated with the military. Passing ships and fisherman were also catered for and were supplied Cape Union Mart’s extensive product ranges. After the war years, Arthur Krawitz took over the business from his father in the late 1940s. The company then grew and started becoming famous for its non-seasonal merchandise and clothing. They started supplying very warm clothing to people traveling overseas in winter, and vice verse. The store was also the first importer of products such as Levi Jeans, Hong Kong anoraks, Norwegian socks and Gore-Tex foul weather clothing. Gear: The provide packs, tents, lighting, GPS, knives, picnic and braai equipment, kids gear, outdoor coolers, fridges, travel packs and much more. Clothing: Cape Union Mart provides a wide range of jackets, t shirts, head gear, shorts, pants, shirts and much more for men, women and children. Footwear: Shoes, sandals, boots and many more outdoor, hiking, camping and trail shoes are available from Cape Union Mart. 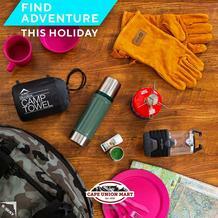 All Cape Union Mart’s products come from leading brands such as Caterpillar, Old Khaki, CAT, K-Way and many more. Search Guzzle now to find Cape Union Mart specials or view online catalogues now!